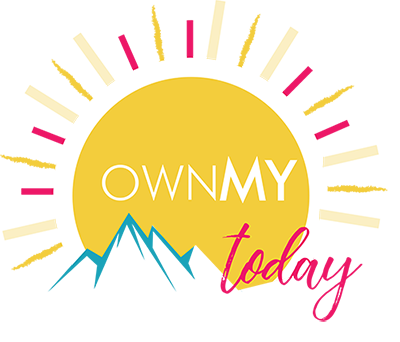 OwnMy Today really “started” on June 16, 2016. The day my amazing husband and best friend committed suicide. The day that our seemingly perfect life came to a crashing end. I was (and still am) flooded with experiences, situations, feelings that are unique to unexpectedly becoming a widow at the ripe age of 36. 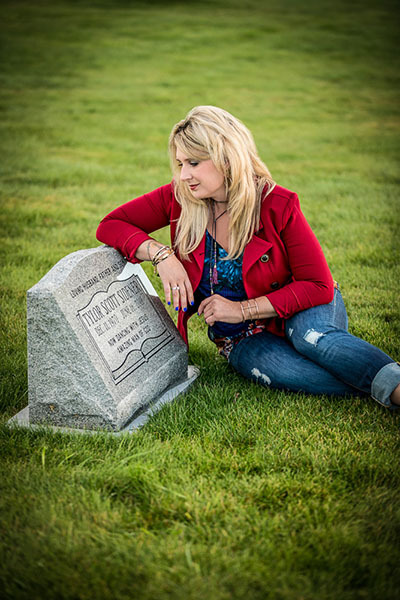 Since Tylor’s suicide, I have documented the craziness of this new life. For those who know me, you know I am not shy, and am pretty darn direct (to a fault sometimes) and I always have a lot to say. None of that has changed. I am an open book about everything related to his death; especially the topics that could make some squirm a little, yet need more attention: suicide, mental illness, our marriage, the “episodes,” unexpected relationships, sifting/sorting through my new normal and the specific events surrounding his suicide (Tylor being an official “missing person,” finding the note and the continued aftermath I have been forced to live through). I am doing all of this with my eyes seemingly wide-open, yet I continually feel blinded by uncertainty. Tylor always taught me to love and serve wholeheartedly. I find the most joy and healing in pouring into people, lifting them up and hopefully being considered somewhat of a resource when it comes to navigating through the choppy storms and seasons of life; especially since I have a new understanding and appreciation of the fact that you never REALLY know what someone is going through. I have first-hand experience in that “area” because I never, ever expected that Tylor would take his own life. I mean, he was known for “giving life” to so many! Taking his life still does not make sense…to this day. In a nutshell, I hope OwnMy Today is a way to serve others; and that, is completely inspired by Tylor. Most of my blogs/vlogs you will see that I share my experiences. They aren’t polished. They are raw and real. They may make you twinge a bit. I won’t be offended if you think, “did she really just say/write that?! ?” Yep, I did! You see, I have learned that life just isn’t comfortable…and that actually can be a good thing. The more I share that lack of comfort, I have found that a beautiful connection with others surface. I will name the “stuff” that is hard to name. I will go “there.” You will probably laugh AND cry (and even question my appropriateness). You may disagree too, and that is completely fine. 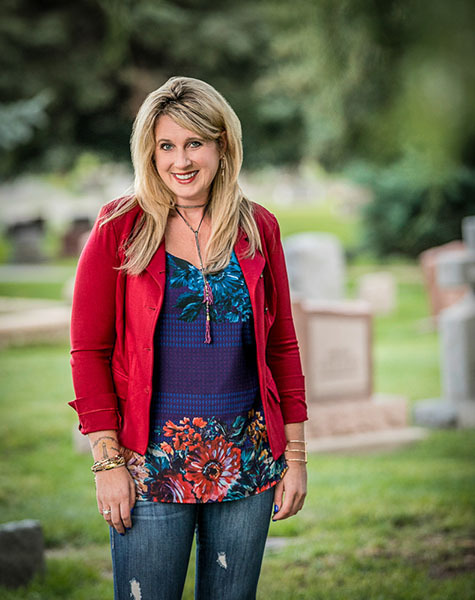 My true desire is, through “outing” my own experiences, to help other young, unexpected widows, or anyone experiencing loss, by giving them real-world tips on how to deal with the aftermath of a shocking, unexpected death. I will provide tips on what worked (and what didn’t work) as I have maneuvered through all of this chaos. Some may relate to OwnMy Today because of other forms of loss. I have learned loss comes in all shapes and sizes. Maybe it is a death of a family member. A loss of a HAPPY marriage. A divorce. The loss of financial security or a job. The loss of stable health. It is all LOSS! You may pick up a few tips from this. Or, better yet…hopefully OwnMy Today helps you not to feel so alone. Be patient with others, give grace always. Recognize you really don’t know what others are going through. Keep your eyes open, pay attention to what is going on around you. Do not ignore when someone “seems off.” Take the time to ask, listen and act. Love and serve others well. Thank you for being on this heart-breaking yet beautiful OwnMy Today journey with me. The National Suicide Prevention Lifeline provides 24/7, free and confidential support for people in distress, prevention and crisis resources for you or your loved ones. You can call or chat on-line with someone.